Owning one of the most exciting franchise opportunities has never been easier. Now you can own your own franchise in a protected market offering a service unlike anything else in the marketplace that is in high demand! Our unique process achieves amazing results at a fraction of the cost and time of traditional wood floor and wood cabinet refinishing. N-Hance Wood Renewal has been offering franchises since 2003 and has rapidly added over 200 franchise locations. If you have been looking for an opportunity that allows you to take control of your future now is the time to learn more about N-Hance. 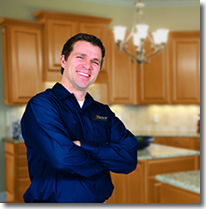 Renewing Wood Cabinets and Floors Has Never Been So Easy! 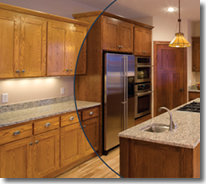 Your customers enjoy beautiful, like-new wood floors and cabinets. Our unique process can achieve incredible results at a fraction of the cost of typical wood refinishing. There is NO Dust, NO Mess, NO Odors®, and most jobs are complete in one day. All these benefits at a low cost = happy, repeat customers and referrals for your business. Superior training, beginning with our highly effective Quick-Start and Pre-Training programs. 30 Years of proven marketing that drives customers to you. Our formula to get you started: Keep it simple – We provide you with all the tools needed! The missing variable could be you. Initial investment - Your N-Hance franchise can be started with a relatively small investment. With available in-house financing, and a down payment of only $17,400 you'll find your monthly cost is about the same as a good used car payment. Quick-Start program - Learn everything you'll need to run your business with a comprehensive training program that includes six days at our facility in Logan, Utah. We also provide ongoing support from our trained support staff and franchisee network. Complete turn-key package - Receive the equipment, supplies, training and support you'll need to get started. We provide everything from business cards to van decals. Full support - Receive one-on-one coaching. Attend webinars, seminars and conventions to find out how to grow your business. N-Hance is currently accepting inquiries from the United States and Canada.